You want to already book your holidays now so you can look foward to it for as long as possible? 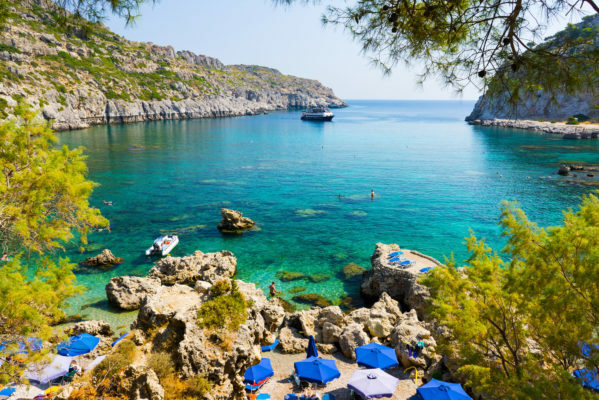 Then I found the right deal for you: On Sunweb, you get to spend 7 days on the beautiful island of Rhodos in Ixia and pay only 3554 kr with the 4* hotel, all inclusive board, flights and transfers all included in the price. Your hotel is the 4* Mitsis Rodos Village. It is located near the beach and offers you 5 different pools and cozy, comfotable rooms. Due to the all inclsuive board you don’t have to worry about anything here! On TripAdvisor, the hotel received great reviews and was given a good 4 out of 5 rating from 2.185 differen reviews. While on Rhodos, you should definitely check out the Acropolis of Lindos and the Archaeological Museum. Try delicious local food at for example the taverna Kostas and take a walk on the Street of the Knights. The availabe dates for this deal are in October 2018. You fly with Primera Air from Copenhagen to the island of Rhodos, checked as well as hand luggage ist included in the price. Let’s go to the Rhodos deal! Sign up for our Newsletter, and don’t miss anymore deals. You’ll be the first to find out about our Rhodos bargains!